yes, I too think poetry matters. I will hold my breath with you on May 1st. Yes. Absolutely. Poetry matters…because our words matter and how we listen to the words forming in our souls matters and how we present those deeply profound and simple words matters. Poetry has a way of doing just that, connecting souls to souls through carefully placed thoughts on a page. This has been my experience and since I started reading poetry regularly through our poetry and mediation group, my life will never be without poetry. It is a life line. In my darkest moments, poetry has offered me hope and courage and in the peaceful place, it has offered space to breathe deeply. It truly has been like a warm bath, soothing deep wounds after a long battle. Poetry is…life’s melody and harmony, the sweetest of symphonies. My favorite poet…Mr. Bill Holm. I have read his ‘Letting Go of What Cannot be Held Back’ many times as well. His book Chain Letters of the Soul is a permanent on my night stand. My life has been changed by poetry and I have you to thank for that. If the answer is “affirmative” on May 1st, I may develop a debate-prep team to pepper me with questions. “Stump the Poetry Lover” sort of thing. I’ll include you. I think you should think about writing poetry. Listen to what you just wrote in your comment! I wish you could have heard Bill Holm read while he was alive. He was a force of nature. I didn’t know you had read “Letting Go of What Cannot Be Held Back.” The lines at the end are the best. They wake you up, right? Thanks for reading my piece, and for being a young person who is keeping poetry alive. Teri, is it too soon to plan a trip to New York Mills? Count me in on the debate-prep team. Yes, poetry matters! Let me count the ways. Remember when Lizzie walked right up to Mary Oliver when we saw her in Minneapolis a few years ago? Mary acted for a moment like they were old pals. Hey, I want to know the backstory on the photo of Ted Kooser’s studio in Dwight, Nebraska. I remember part of it, but want to hear the rest. Was that the same trip your car was covered in red dirt? Oh, great! I’m happy for volunteers for the debate-prep team (should I need one). 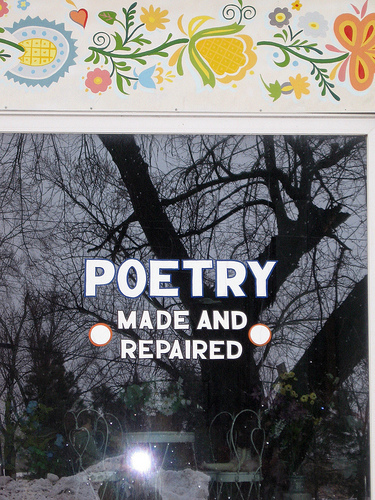 Let’s plan on New York Mills no matter what, just to support poetry. Lizzie approaches everyone; it’s the North Dakota blood that runs through her veins. Do you remember how Mary Oliver paused with each person who wanted their book signed? She took the time to smile and look at them. It was very noticeable. I found Ted Kooser’s studio on my last drive down to New Mexico. Yes, it was the time my car was covered in red clay. You’d never find his studio without strong intent…it is as far off the beaten path as you can imagine. He wasn’t in his studio when I was there. I went over to the town coffee shop and asked if they ever saw him. They told me he is one of their regulars. When you see where Ted lives and writes, you know that good poetry speaks for itself. It isn’t required that you live in a well-connected city with a network of just the right people. I was introduced to Ted’s poetry by Natalie Goldberg during the Intensive. She read excerpts from the book Ted wrote with Jim Harrison, Braided Creek. Yes!!! It matters! Every cell in my body says so. Thank you for your excellent post about this! poetry matters to me personally — it was a way to transform the base metals of my life to gold, as well as to further share and cherish that which was already golden. I want to check out both the poems you recommended, about letting go and authenticity, they both sound excellent. Poetry matters because it is one of the ancient arts, a medium through which the human spirit has found voice for the ages. Is music important? Are the visual arts relevant? This would likely not be asked and yet we poetry-lovers do face a bit of a challenge these days…poetry has been so overdone by people who think poetry’s limitlessness means you can write any old way you want, which is true…but it doesn’t mean anyone else will get anything out of it. And so we’ve gotten a bad rap in the modern era. But we must not accept defeat! The answer as I see it is for those keepers of the poetic tradition to circulate as much good poetry as possible, to be proponents of superior verse. In that way we can educate the modern reader that not all poetry is self-indulgent drivel. In today’s ADD culture of the MTV minute/short attention spans etc, short verse should be more relevant than ever! Oh, Teri! Here I sent you an email early this morning about April being Poetry month, then at noon I find your delightful piece! I love these serendipitous occurances. I hope you are one of the chosen few, but I can relate perfectly to your quandary, for I am always good with the perfect “come back,” only it arrives about 3 hours too late! (sigh) But I know you will get expert coaching from your poetry group. Poetry does, indeed, matter in my life…always has; always will. I believe it began with the standard Nursery Rhymes. I wonder if parents still teach teach them to thir children. John Ciardi writes wonderful poetry for children. But I digress. Are you going to share your entry essay with us? I would love to read it, whether it is chosen or not…I know it was great! Thank-you for your resounding affirmation of poetry (plus music and art). Well-done on your new publication, too. You’ve said something that reminds me of a quote I read of Ted Kooser’s. He said if people are going to take the time to read his poetry, he wants be make sure it can be understood. That it is accessible. You’ve inspired me to find that quote, talcarmen, as Ted says it much better than me. You’re right; who wants to read self-indulgent drivel? If poetry isn’t relevant, why should anyone care? I will check out your links. Thanks! 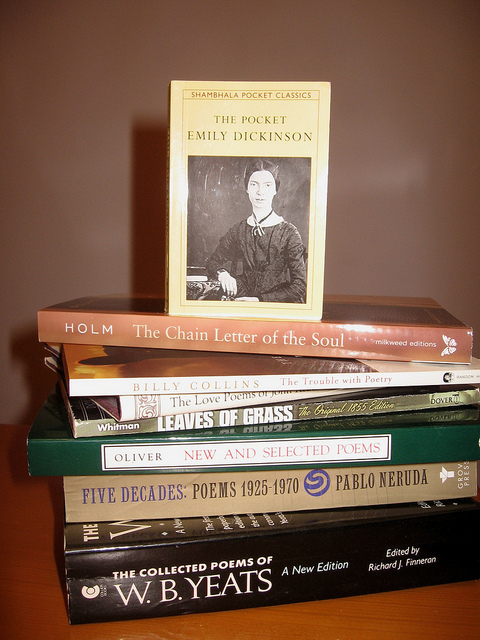 Have you chosen your poem for National Poem in your Pocket Day? I haven’t yet, but will have something good in my pocket this Thursday, April 14th. You’re like me; I think very well on my feel with a three-hour delay. If I am one of the finalists, I will have to keep bringing the debate questions back to my personal experience. I can speak easily to that, but not to bigger questions like the funding of the arts. I’d love to share my essay; but I’ll wait until after May 1st. Thanks for stopping by, o.o. I wrote a blog artcile today about my favorite writing/book blogs. I am a specualtive fiction writer. I would love to have you drop by my site. Your blog is included. Nora, thanks for stopping by and including red Ravine. Much appreciated! 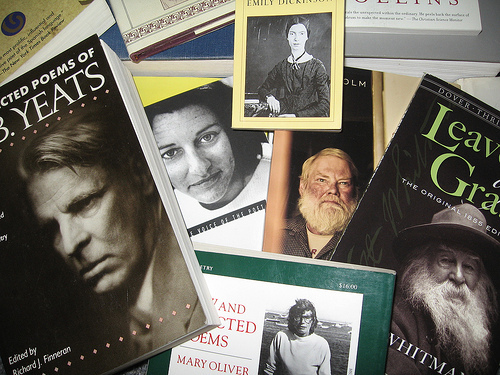 Teri, I do remember how Mary Oliver paused to speak to each person when she was signing books. She usually had a smile for them, too. I also found Patricia Smith engaging at Talk of the Stacks at the downtown Minneapolis library. I remember her stopping to speak to you and Liz and oliverowl that night. I really enjoyed listening to her talk about poetry. Natalie introduced me to many poets in her classes, too. I like the way she reads poetry. I remember when she read a Galway Kinnell poem in one of the December workshops I was at. I was mesmerized. I think it was after that that I actually saw Galway with Josephine Dickinson at the Fitzgerald. Have you noticed anything different about the poets you’ve gone to see, as opposed to writers you’ve seen? Just curious. I know a lot of times writers of all genres start out as poets. I had one other question: which writer or poet’s home would you like to visit next? Is there one that is calling out to you? Teri, I wanted to mention one other thing before I forget. One of my favorite poets has always been Nikki Giovanni. Last week I was going through an old box of books from my childhood. Black Beauty, Tom Sawyer, Rebecca of Sunnybrook Farm, Mary Shelley’s Frankenstein, several Poe books. There were also Bibles and Bible story books given to me by my Aunt Cassie & Uncle Claude. Anyway, tucked inside one of them I found an old bookmark from the 70’s — it had a children’s poem from the early 70’s by Nikki Giovanni printed on one side of it. Isn’t that wild? She was writing children’s poetry back then and I didn’t realize it until recently. Here’s a link to a couple of books she wrote in the 1970’s. Maybe the poem was from one of them. Imagine how much different the climate would have been back then for children’s poetry. Yes, I believe Poetry matters!! Though I’m not very poetic, or even read much poetry, I believe that expression is a must and should be shared. I think poetry is an avenue for people to express many things, and in a creative way that can be so powerful. I also think that sometimes I don’t understand poetry, but feel that it drives me to “think” about what they are trying to say and I love that! More people should stop to really think about things and open their minds to the expressions of people and events or feelings of others. I can’t believe you found an old Nikki Giovanni bookmark from your childhood. What are the chances?!? Little did you know that you’d become a writer and see Nikki read her work. I hope I’ll get to see it soon. When we saw Nikki, I was impressed how she interacted with the young people in the audience. She was one of those people who loves youth–even youth who look intimidating or rough around the edges to most people. I’d like to be more like that. The Southern Writer’s Trail is pulling at me. I think that will be my next trip. I’ve started saving for it. I’m open to passengers! Yay, Teri! Congratulations on this piece and on being willing to stand up for poetry! We need it the way we need water and air. I know what you mean about not always understanding poetry on the first try, but trying to stick with it to see what the poet is trying to communicate. That happens to me, too. If a poet is a classic (and has been around forever), it gives me more incentive to ruminate on their words to see if my brain will eventually absorb. It gives me hope when young people like you value poetry. Even though you don’t read much yet, your openness is the first step. Thanks for your vote of confidence! I’ll let you know if I’m selected. Oh, I get nervous just thinking about it. Thanks! I feel passionate about poetry, especially when I’ve seen how it has impacted my life and those around me. Since you compare it to air and water, it has clearly made all the difference for you, too. Yes yes yes! Poetry matters. And this is going to sound crazy, because I know how much you love the poets who have given a rich legacy through their works, but I also love poets on Twitter. Yes, Twitter! Some of my favorite tweeters are poets. And I have many whose work is deep and good and accessible and moving. For me, the fact that poetry continues to evolve in today’s world, that says that poetry does matter. It’s not dead, it’s not old-fashioned, it’s everywhere and everyone. Good luck, Teri. I hope you get a chance to debate the question. You inspire us all!! You’ve brought up something I haven’t experienced: poetry on Twitter. When I first hear about it, I’m skeptical. But when you say it’s “deep, good, accessible, and moving,” well…what could be better? It sounds like sitting with a book of poems, just not a book. When our poetry group was in full swing, the 20-somethings in our group were just as engaged and involved as the 50-somethings. Good poetry touches everyone. As you’ve said, it’s not old-fashioned. Not dead. Does poetry matter…when I first read this I felt stunned, had to walk away…too big to answer. Then like my breath, slowly in, slowly out, one alveoli trading a molecule of oxygen from my rubber tree for the tired bit of carbon dioxide my body has spent…one atom, one letter at a time-poetry matters, captures the essence, then drifts by, so I continue to breathe, not just for me…I remember breathing in Langston Hughes and Gwendolyn Brooks in high school, mostly music lyrics in college; medical school and residency were a blur-there poems took the form of patient’s bodies, their scent, stories, blood work, hours spent sorting it all out, trying to make sense. Now I read and write poetry to survive. I write from stillness, I write to listen. Nature speaks most clearly, my pen scratching haiku and senyru in response: Black pen, white paper/crow strutting on snowy beach. You were exposed to good poets in high school. I wonder if you found Langston and Gwendolyn on your own, or if a wise English teacher showed you the way. One of my English teachers had us read a lot of Steinbeck; he’s still one of my favorites. Natalie Goldberg was exposed to Carson McCullers in 9th grade. Our tender hearts are wide open and absorb. You’ve found poetry everywhere since then. I like picturing you on the shores of Maine with black pen, white paper, and crow strutting on snowy beach. Poetry is knowledge, salvation, power, abandonment, an operation capable of changing the world, poetic activity is revolutionary by nature; a spiritual exercise it is a means of interior liberation, a form of transcendence removing self from history and offering in its place a vision of pure or essential being and time. Poetry is sacred, providing salvation in a sacred world. With that being said, how could we survive without it? Or any of the arts for that matter…. I hope you get selected to read your essay. Loved the Paz quote. Thank-you. Of the four finalists selected, two will have written Yes, Poetry Matters–two No, Poetry Doesn’t Matter. I tried to think what the descending people will say, and wonder if it will become a debate about funding. Having come to serious study and appreciation of poetry later in life, maybe it will help me see the other side. When you aren’t exposed or taught about something, it often doesn’t matter. Have you written at length about what you were doing with your life as a mere 17-year-old? The stereo-typical concerns of “Who will I go to prom with?” or “Do I have a shot at Homecoming Queen?” were of zero interest to your social justice mind. Congratulations on being one the finalists! I’m so happy for you! You’re my new favorite poet. Oh! I’m not a finalist…at least not yet. They don’t announce them until May 1st. If I see you at the Blue Moon on May 2nd, I’ll let you know! Thanks for the Naomi Shihab Nye quote; she’s one of my favorites. My poetry group wrote to her after we read her work one night. She sent us back a lovely response. Yes, poetry matters, at the very least, it matters to me. By the time I’d turned 50, life had sped up to almost a blur. Then, I began to read poetry … lots of it … which led me to haiku … and to the love affair of reading and writing haiku. Writing haiku helped me to slow down and to really see the world around me. It helped me to relax into the peace of the present moment … a moment just like this one … when I also have a son at war in Afghanistan. These two opposite things exist at one moment. Poetry is big enough to hold it all. I’m rooting for you, Teri. I hope you are selected. But, you are already a winner. There is no doubt in my mind that poetry does, indeed, matter. Whether it be to an individual, a culture or society as a whole, I could give you many examples; from the war poets to suffragist/antislavery poetry, the tortured soul poetry of Sylvia Plath to the beautiful soul songs of Khalil Gibran… the list is endless. However, when I thought about the poem that sparked my interest in reading poetry, I found it to be Spike Milligan’s nonsense verse, ‘A Thousand Hairy Savages’. When I first met you in the zendo, I got a taste first-hand of what military families endure. You taught me a lot about living in the moment, doing what I can (not what I can’t), and about courage. Oh, I love hearing stories like the one from Miss Gowen’s classroom. I can just see a bunch of kids laughing about the thousand hairy savages. I hear so many people reference good English teachers; primary school teachers make deep impacts, too. Someone led the way to poetry for you. That’s all it takes. And now, it is a critical part of your life. When I taught in Minneapolis, I had my elementary students memorize poetry. We’d do one poem a month, usually something seasonal. When visitors would come to our classroom, the students would beg me to let them recite the poetry to our guests. It always surprised and delighted me. Many of these kids were tough nuts–street kids. But they were incredibly proud of those poems. Thanks for reading my post, annie! Thank you, Teri. But here’s the thing: Poetry helps me to see what matters. There are always many things to do. Poetry helps to settle me, so that I can see what is the next right thing to do. Poetry matters as much as doing the next right thing. You are a hero of mine, Teri. You walked away from a teaching career, which was sucking the life out of you. Most of the people I know that are miserable in their jobs do not have the courage to do that. They are too afraid of the unknown and too afraid of the risk. I seem to remember early-on that you were afraid too, but you did not stop. You took the teaching of our teacher to heart: “Continue under all circumstances.” You took one step and then another. You dared to live your passion. You have been my teacher. I offer you a deep bow. Yes, it *did* take a lot of effort to leave my secure job. When I finally decided to leave a career that had once been wonderful (but had turned into a boiling, unhappy stress-pot), you wouldn’t believe the push-back I got from the world at large. When people see a rat jumping off the sinking ship, they don’t cheer. They openly predict financial ruin. One man told me (in front of a large group) that I’d be lucky if I made enough money as a writer to pay the light bill. These sorts of comments became normal, and in time I knew I was inadvertantly shining an uncomfortable light on people’s own lives. I had just enough people in my corner to keep moving forward. I couldn’t have done it without their support. I like that poetry gives you enough direction to know what the next right thing to do is. That makes it sound like meditation. I enjoyed the piece, Teri, although I feel cheated that I don’t get to read the actual essay. Perhaps, though, you will win and you can share it then. I’ll have to read that Holm book. Thanks for reading my post. If I win, I will read the essay at the beginning of the debate. 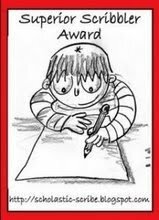 If I don’t win, maybe the editor of red Ravine will let me post it, anyway. Bill Holm died suddenly, and his final book was released after his death. I went to the book release event and several prominent poets were there to read his work. They loved him. We all did. I’ve loved reading your thoughts and everyone elses’s here on why poetry matters. I hope you will be chosen to speak at the June event. I’ve been very fortunate to come from family that loved poetry and the sound of poetry recited and read aloud. I can still hear my Great-aunt Minnie’s musical voice. I knew she was sharing something precious with me when she would recite. My Grandpa’s favorite poet was Frost. “Whose woods these are…” To distil the moment, expand it through metaphor to a deeper realization/awarness, was a richness I became aware of through their love of poetry. For the last nine years I’ve meet with a group of poetry lovers at Kalamazoo College, guided by the wonderful poet and teacher, Conrad Hilberry. We meet spring and fall for four sessions, two weeks apart and discuss a book each of four poets. This session we’ve read Connie Wanek, and Mark Doty with Natasha Trethewey and Lucia Perillo next up. Five of us carpool from Grand Rapids to Kalamazoo to be part of this wonderful group. Every other week, I bring my own poetry to my writer’s group. Poetry matters. It deepens our relationships with the people we share it with, to the events that spark it’s narravtive, to the landscape, within and without. Poetry matters! It’s wonderful to hear about the vibrant poetry group at Kalamazoo College. Nine years is an impressive run for any group! You were fortunate to grow up in a family that introduced you to poetry. It seems especially sweet and deep that it was the elders in your tribe that were reciting poems. I was listening to a Natalie Goldberg interview this weekend, and she talked about needing to be led into poetry by someone who loves poems. Once we’ve been introduced, we can make it our own. Every once in a while, as a child, my mom would recite a poem she had learned in her one-room, country school. Old favorites like “Paul Revere’s Ride” and “I Have A Little Shadow.” These poems seemed musical and magical. I received notification that I am not one of the four finalists for the Great American Think-Off. I am both hugely disappointed and tremendously relieved. The two people who are on the “yes” side of the debate are clearly more qualified than me (I’ve read about them online), and I wish them the best! Today is the day! I’ll leave this afternoon for the three-hour drive to the Think-Off. I’m meeting a childhood friend in New York Mills for a picnic beforehand, and then we’ll head to the auditorium. I’m grateful to be a relaxed audience member. Teri, have fun in New York Mills! Can’t wait to hear about the reading. Keep us posted. The Think-Off was a great time. The man who won was an amazing wealth of knowledge about poetry and the history of poems. He also had hope for poetry’s future–unlike the nay-sayers who were on the “no” side. DelRae and I will go again next year, no matter what the topic. I was *so relieved* to not be a finalist. It would have been terribly difficult for me to think on my feet as they had to. Sometimes things truly work out for the best. Teri, thanks for checking in about the Think-Off. I think you mentioned to me what the argument was against poetry, but now I can’t remember. If you stop back by here, maybe you can fill us in on some of the reasoning behind why poetry did not matter to them. BTW, I do not think fast on my feet either. More of a well-thought out, slow moving person. Never would have done well on a debate team I am guessing. Or maybe it wasn’t like that at all. I remember when I was in junior high in what used to be called “Speech Class.” I was terrified at first! I’ve gotten more comfortable with speaking in front of people over time. It’s cool that you will both go again next year. Looking foward to hearing about it. Both people who argued that poetry doesn’t matter were poetry lovers. They took the position that poetry doesn’t matter to Americans in general, even though it matters to them. The older of the two (a man from New York City) attributed it to the general dumbing down of our culture. The younger (from Michigan) blamed it on the ever-increasing pace gadgets have helped create. No time to be still and read a poem. The man from Michigan asked to make a point by asking the audience three questions, and by a raise of hands seeing how informed we were. When is National Poetry Month? Who is the current Poet Laureate? Who can recite a poem longer than two lines? I was called on for the poetry month question (April). The woman who was called on to recite a poem stood up and regaled us with “Fire and Ice” by Frost. After the event, I was more interested in poetry than ever. Teri, those are good arguments about why poetry doesn’t matter. Maybe to America in general, that might be true for the reasons the two from NY and MI mention. I can see it. But I’m guessing the audience they were speaking to was pretty literate about poetry. And may know more than the average American. I’m really glad you were able to attend and to share what you learned on red Ravine. Thank you for that. I’m blown away that a person was able to stand up and recite a poem by heart. Good choice with “Fire and Ice.” I remember when we had to learn to recite long poems in junior high, along with the Gettysburg Address. Do young students still have to do that these days? About the dumbing down of America, it reminds me of when Jay Leno goes out on the street and ask average Americans general questions about the history of our country. The audience laughs when they get the answer completely wrong. But at the same time, it’s sad that social studies, civics, and the arts are becoming increasingly devalued in our public educational system. We are lucky to live in a state that values the Arts and is willing to fund them (by choice of the people), even with the rising tide against such funding. I hope we continue. But I’m a little worried going into 2012. Though I will not be submitting an essay like I did last year, I will be heading to New York Mills on June 9th to enjoy the debate from a chair in the audience. Teri, great question! Thanks for the link. I read there that The Great American Think-Off had addressed this question in their very first debate and it was a tie. They are posing the question again for clarity. I found myself pondering that question a lot in 2011, with a slightly different twist. I used to think that humankind was basically good and that when things went astray, it was an aberration, a twisted mind. After the last few years, I have started to believe that the odds are about 50/50. Isn’t that sad? I am continuing to ponder and I fluctuate all the time. And how would you even prove it either way. What do you think? Inherently good or evil? I look at children for clues; how are we before the world gets to us? I think we’re inherently good. And then we’re taught to be scared and greedy. It takes great effort to become like children again. Being scared and greedy is pressing in on me all the time, and I have no particular power in the world. We see what happens to people in positions of great influence who succumb. It takes great effort to be good. That is a good way to look at it—through the eyes of young children. If I think about it that way, I tend to agree. It’s when I look at adults that I start to wonder. Questions that arise for me—what about children who grow up in the same family and live completely different lives, make different choices about what is right, what is wrong? A second question to throw into the mix—chemical imbalances. There has been so much research on the brain lately, about what makes some people happy and well-adjusted and others view the world through a downward spiral. Nature & nurture, I guess. That’s what is great about posing questions like the Great American Think-Off does. Really makes you do some soul searching about where you stand. I’d think about going with you but I think it always falls around the time that Liz and I have Art-A-Whirl in our studio. So I can’t commit right now! I think you’d get a huge kick out of the Great American Think-Off. It’s a whopping slice of Americana…complete with singing the national anthem. I’m meeting one of my girlhood friends there, but we’ll save seats for you and Lizzie if you want to join us! Today I leave for New York Mills and The Great American Think-Off. Tonight’s debate: “The Nature of Humankind–inherently good, or inherently evil?” It’s a three-hour drive to meet friend DelRae for the event. William Faulkner and “Intruder in the Dust” on CD will keep me company. Teri, I’ve been thinking about you all day in New York Mills. Hope you are having a good time. Let me know if you draw any conclusions – inherently good, inherently evil. Sometimes it depends on the day. We are heading out to Northern Spark soon in 92-degree temps. Nightfall will be a welcome relief from the heat. Good to see you this week! Looking forward to the next time. Adam Bright (a New Yorker getting an MFA in poetry) won last night. He debated like a pro for the inherent evil of humankind. We talked to him during intermission; he was a wonderful person, and hopeful for the redemption of human beings. It was a wonderful night all around. Wow, evil triumphed over good at the debate? I guess that’s a good point — if you start out on the downside, the only way to go is up. Redemption. I’ve fluctuated so much on the merits of humankind over the last few years. At the moment, I am at an up phase. Last year, thumbs down! Glad you had a good time, Teri. I appreciate when you come back and update these pieces on red Ravine. Continuity over time is so valuable. Just for clarity–the audience at the Great American Think-Off judges who debates their position the best. In this case, Adam did the best of the four. People could still maintain their position of thinking humans are inherently good and vote for evil. I personally think humans are inherently good, but fear makes them do evil. Teri, thanks for the clarification. If you look at this sentence — “People could still maintain their position of thinking humans are inherently good and vote for evil.” — it strikes a cord about the politics in this country right now. For some reason, it made me think about those who give the best pitch getting elected, even though they may not be best for the country. Or what about those with the most money. I don’t know what I think personally at the moment. If I don’t listen to the news today, I would have to agree with you. Inherently good.